The biggest fear has always been, that once Latinos are registered to vote, will they actually show up at the polls? A new report from Latino Decisions wants to put those fears a la cama. According to Latino Decision’s national tracking poll data more Latinos will turn out at the polls this year than in 2012. 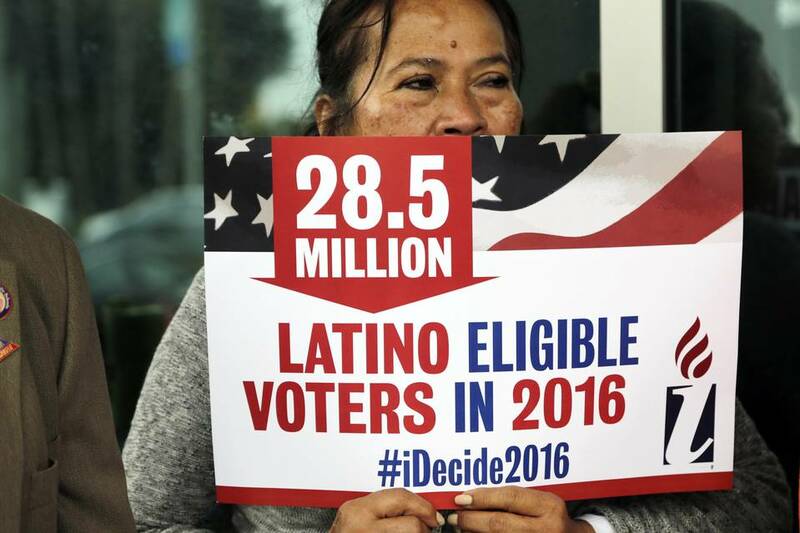 …between 13.1 million and 14.7 million Latinos will vote in 2016. This estimate represents a three percent to five percent increase over the 2012 Latino turnout rate which, coupled with the dramatic growth of the age-eligible Latino population, will yield between 1.9 million and 3.5 million additional Latinos voters in 2016 compared to the 11.2 million who voted four years ago. Once registered, however, Latinos turn out to vote in high proportions, similar to non-Latinos. True, 2010 is not 2016 and Donald Trump nor Hillary Clinton were the candidates of the major parties and the final tally of who actually turned out to vote after being surveyed is not known but in speaking with random registered voters of the Latino community in restaurants, at the grocery stores, in waiting rooms and on social media, I am not seeing the urgency to vote as I would expect, especially among young Latino voters. Some say it doesn’t matter to them who wins because either way, they’re not going to get any “richer;” or they’re too busy to vote or, worse, they don’t know where to go to vote and what kinds of ID to bring. There have been efforts across the nation to provide transportation and information to all voters, in multiple languages, on how to vote, where to go, what to do and when to do it. But if people don’t have the ganas to cast a vote, or understand the role votes have in keeping our democracy strong then it really doesn’t matter to these people. It’s for this reason that voting reforms need to be made before our democracy weakens any further. 1. Either make the actual voting day fall on a weekend or be declared a national ‘holiday of civic conscience’ where people don’t have to be afraid to miss work or school to go vote. 2. Make voting mandatory with fines for not doing it. 3. The government should create short videos on the nation’s democratic system to educate everyone on their civic duty. 4. Create an online voting option that is secure. 5. Allow people to take selfies of themselves after they cast their vote in the voting booth.